Profs. 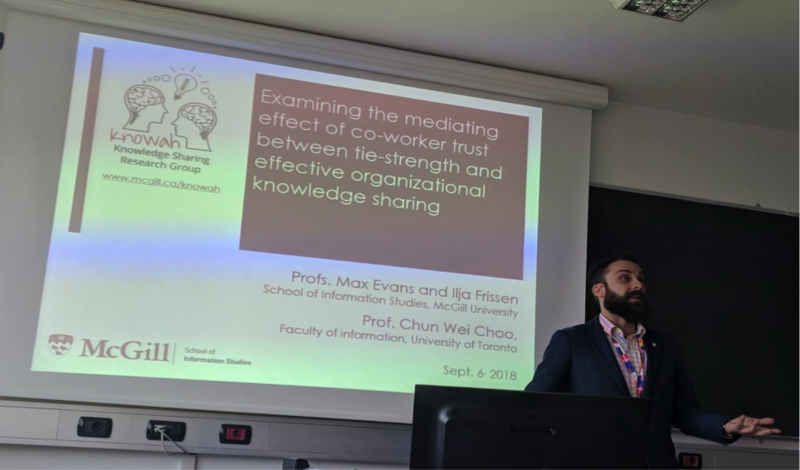 Evans and Frissen recently presented their work on knowledge sharing at the the 19th European Conference on Knowledge Management (ECKM 2018) in Padua, Italy. Their paper "The strength of strong ties you can trust: Re-examining the mediating role of trust in effective knowledge sharing" (Evans, Frissen, & Choo, C.W., 2018) can be found in the conference proceedings: pp. 250-258.